Gnostice XtremeDocumentStudio (for Java) is the next-generation multi-format document-processing component suite for J2SE/J2EE developers. 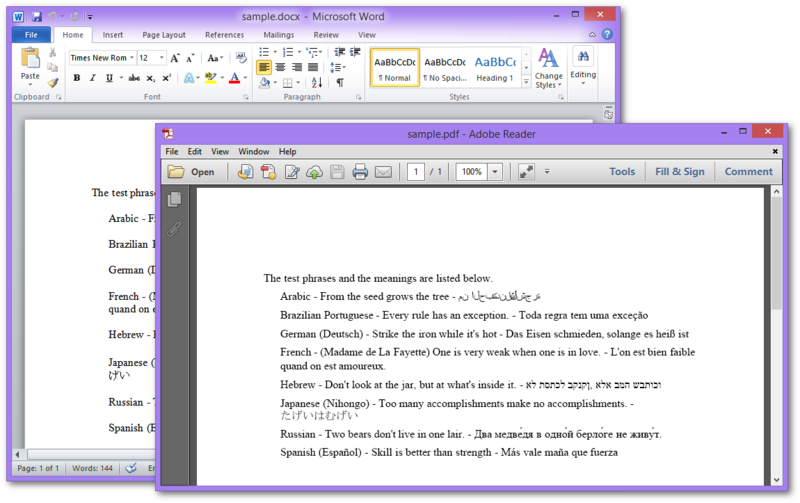 Currently, it supports viewing, printing, and converting PDF, DOCX, BMP, JPEG, PNG, JPEG2000 and single-page/multi-page TIFF. In this article, we will see how to convert documents. The component to use for converting documents is com.gnostice.documents.DocumentConverter. You can pass the names of the input and output files and then DocumentConverter will automatically guess the input and output formats. DocumentConverter also has overloads with which you can specify the output format using a mime type. And, it also has overloads with which you read/write from/to streams and byte arrays. // document(s) that are not installed in OS Fonts Directory. // Create instance of DocumentConverter. // Specify the input and output file names.